PromptMD Physicians and PAs are Board certified in Family and Emergency Medicine. Skip the emergency room and get attentive and personalized service at our Urgent Care Centers. Need a check up or physical in a hurry? Same day appointments or walk into our Family Practice and see the same provider every time if you wish. Dr. Javed Islam is the CEO and a lead physician of PromptMD Urgent Care & Family Practice. 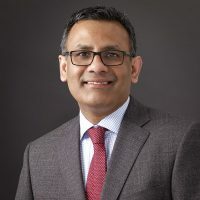 He is a graduate of King Edward Medical College in Lahore, Pakistan and completed his Family Medicine Residency at the Robert Wood Johnson University Hospital in New Brunswick, NJ. During his time at the University Hospital, he was the Chief Resident in Family Medicine and in 2001, was nominated “Intern of the Year”. Dr. Islam founded his first urgent care center with one crisp vision in mind: to deliver personalized, to the point, and efficient medical care for busy professionals. He carefully hand-picks collaborating physicians to carry this vision forward and has assembled a team that is naturally motivated and committed to treat patients the same way they treat their family and friends. At PromptMD, we are proud to say, that patients come first! Dr. Islam’s dedication to the community extends beyond the PromptMD Practice. In 2015, he began working as a Clinical Assistant Professor at Rutgers University. In this role, he is a preceptor for medical students doing family medicine rotation. In his free time, Dr. Islam enjoys reading, teaching, and playing golf and squash. He currently lives in Tenafly, NJ with his wife and two young children. 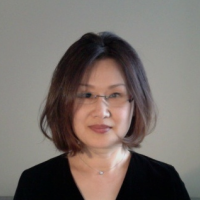 Dr. Lee is a board certified Emergency Physician. She is a graduate of SUNY Downstate in Brooklyn. She then completed Emergency Medicine Residency at Albert Einstein. She has many years of experience working in both Emergency Departments and in Urgent Care Medicine. Dr. Lee is a diplomate of American Board of Emergency Medicine. 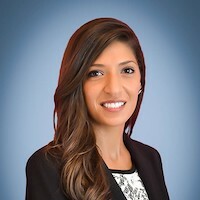 Dr. Amar Kadiyam graduated from St. George’s University School of Medicine, and completed her Family Medicine Residency at Rutgers-RWJMS, Capital Health Trenton, NJ. During her time there, she was awarded “Resident of the Year” for all three years, including the “Intern of the Year” award. Prior to joining, Dr. Kadiyam was a Fellow at the Emergency Medicine Fellowship Program at the University of Tennessee-Memphis. Dr. Olevia Metry is a friendly and enthusiastic doctor that recently joined PromptMD with experience in both family medicine and urgent care. She is particularly interested in women’s health and strives to provide compassionate preventative and screening services. Dr. Metry grew up, studied and trained in Florida. From eating healthy and staying active, to studying medicine, she has always been passionate about health. She completed her family medicine residency at Florida State University, where her research focused on nutrition and diabetes. She led a diabetic group visit program so successful that is now being replicated amongst other residency programs. She looks forward to providing top quality care in our community! Glen Holley earned a Bachelors of Science degree in 1996 from the NewJersey Institute of Technology in Engineering. Early in Glen’s career he felt a calling to help others more directly than his engineering degree allowed him, so he shifted careers and graduated as a Physician Assistant from UMDNJ in 2005. 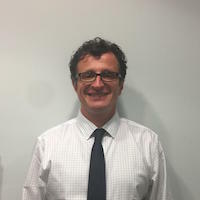 Glen has worked in Emergency Medicine, Family Medicine and Urgent care for the past 12 years. He is a Nationally Registered Certified Medical Examiner and performs DOT exams. In addition, Glen is one of a handful of people in NJ to claim the title of Primal Blueprint Expert following the work of Mark Sisson. Glen is also certified in Advanced Cardiac Life Support. Glen’s interests at work include Preventative Care, Lifestyle Modification, as well as Patient Education. Outside of work, Glen’s interests include spending time with his children, biking, hiking, reading, and spiritual development. 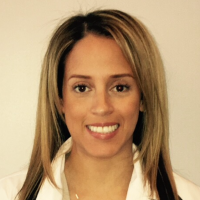 Cristina earned a Bachelor of Science in Biology at Rutgers University and a Masters of Science in Physician Assistant Studies at Touro College in Manhattan, NY. Her clinical experience includes Insulin Pump training, Family Medicine including patient and employee health at an adult medical day care center and now Urgent Care. 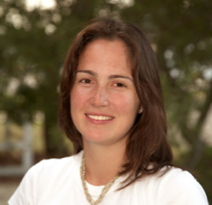 Cristina is fluent in Spanish and is very dedicated in providing the highest level of patient care. Her special interests are preventative medicine, weight loss management and patient education. Christine Pipchick, PA-C received an undergraduate degree from College of the Holy Cross, and earned her M.S. in the Physician Assistant Program at Rutgers University. 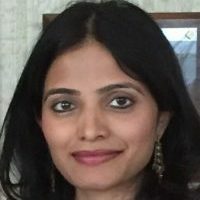 She has worked in Internal Medicine and Pediatrics, and also as a Hospitalist PA in the Division of General Medicine at New York Presbyterian. Christine specializes in treating chronic medical conditions and preventive medicine, and enjoys helping patients make lifestyle modifications to live happier and healthier lives. In her free time, Christine enjoys yoga, skiing, reading, and spending time with her three kids and husband.